Despite the enduring effects of the looming Brexit deadline, the Construction Industry is expected to be bolstered by large scale civil engineering projects like the Thames Tideway Tunnel and HS2. Also, the demand for private housing is predicted to rise by 2-3% in 2019 and a further 1.9% in 2020, underpinned by the ‘Help to Buy’ initiative that runs until March 2021. A Brick Carrier truck is a key element in your fleet, if you are in the construction or builders merchant industry. A brick grabs design is bespoke to its use – the lifting and transportation of its load with efficiency and ease. At Mac’s, we have a wide range of brick grab trucks for sale that can be customised to your exact specification through a diverse selection of grabs attached to numerous crane options. As a family run business rooted deep in our surrounding community, we always welcome the opportunity to cultivate and nurture relations with local companies. 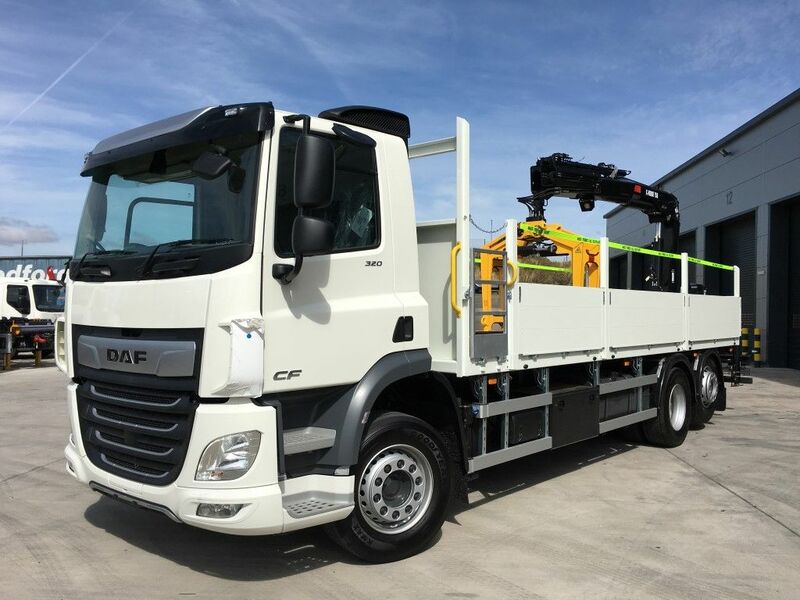 One such company, JTD Building Supplies took delivery of a DAF CF320 Builders Merchant vehicle in September. Based in Holmfirth, working in partnership with UK-leading suppliers they outfit construction firms, trade customers and even DIY enthusiasts in Yorkshire. A firm who puts an emphasis on customer service and quality product, that has seen tremendous growth in the business despite the turbulent economic climate we live in. Let Mac’s be the sure thing involved in your business in these uncertain times. Call us with your requirements today on 01422 377285.